With one of the best-ever selling movie albums that has been voted in Rolling Stone's top five greatest soundtracks of all time, the music was always going to steal the show in this new stage musical based on the iconic 1977 film. 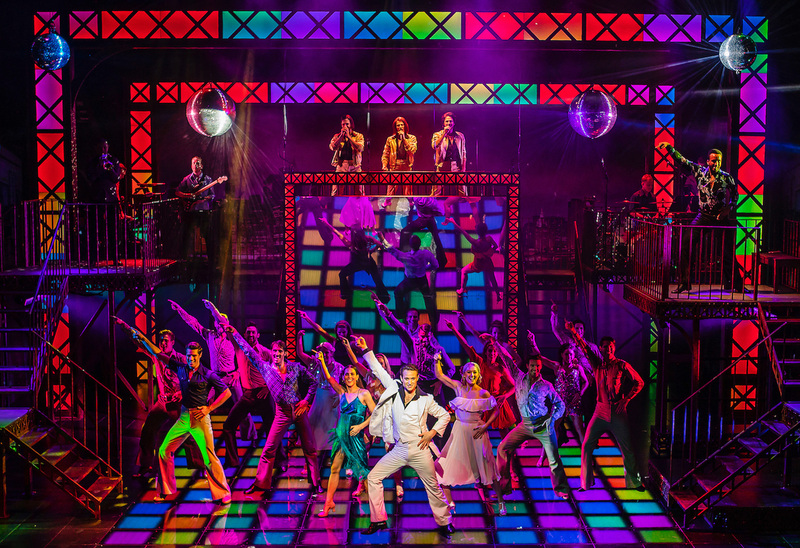 Dancing came a close second in Saturday Night Fever - but that's no surprise as the film was a highlight of the disco era, propelling John Travolta's career after his shimmy across the dancefloor in a three-piece white suit. That's probably among the most iconic male dance routines ever; copied, parodied and celebrated. What's particularly enjoyable about this light and easy production is that it doesn't try and update the choreography from that era but performs it in all its glory - even if some of it does seem quite dated. Even moves that look like the funky chicken bring giggles through this entertaining show. However, some of the long big group dancefloor routines did feel a little like watching a Zumba class at some points. It's been more than 40 years since the film was released but now a new stage version is bringing the coming of age drama to cities across the UK, including Birmingham's Alexandra Theatre, where it stays from Tuesday September 25 to Saturday September 29. This production of Saturday Night Fever closely follows the film but has more focus on the songs and dance routines than the drama. A live band adds to the atmosphere and there's even the "Bee Gees" trio of singers who look and sound like the band and are kind of backing singers on a balcony. It makes sense as the Bee Gees were responsible for most of the iconic soundtrack and you can't help but get swept up with the wonderful music. Songs including Stayin' Alive, How Deep Is Your Love, Night Fever, Tragedy and More Than a Woman. 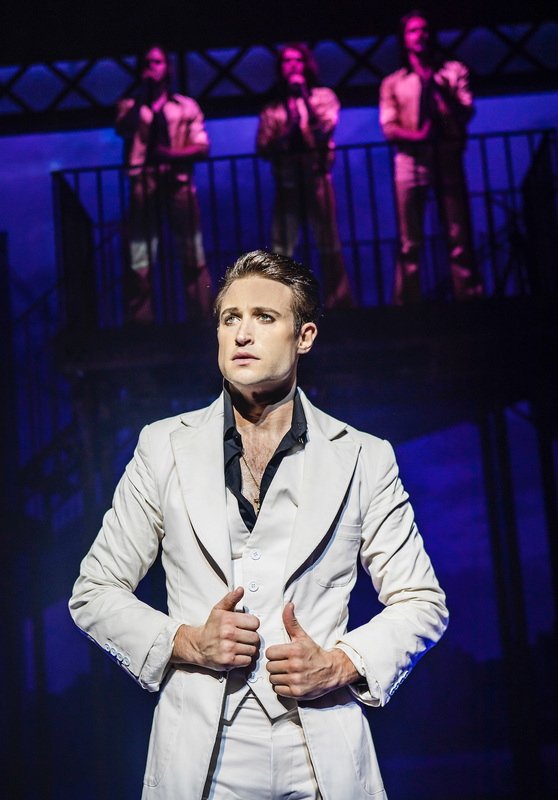 Telling the story of likeable Tony Manero in Brooklyn, it shows how the only outlet to his humdrum family and working life is to escape with his friends to the disco on a Saturday night. When he partners up with aloof and ambitious Stephanie for a dance competition, it starts Tony thinking about how he could achieve more with his life. Playing Tony is Richard Winsor, who audiences may recognise from playing Caleb in Casualty as well as starring in Hollyoaks. He's a strong dancer with a background including Streetdance The Movie and performing with Matthew Bourne's New Adventures dance company. His acting is good too and he pulls off the Brooklyn accent and easy charm so important in this lead character. 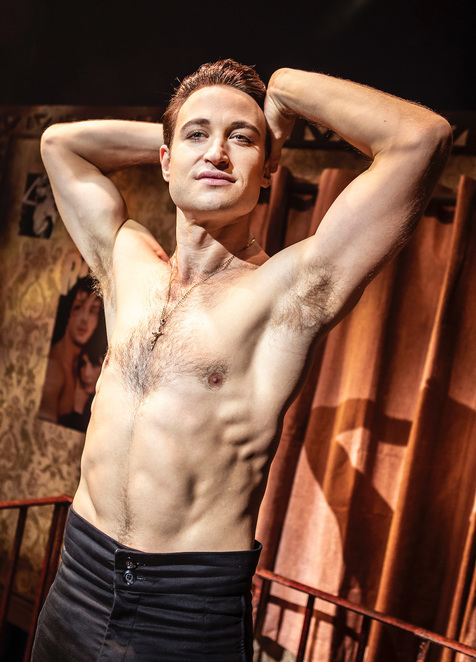 There's also quite a few gratuitous moments when he changes his outfit on stage to reveal a six pack too. The stage is set to look like the Brooklyn Bridge but the most memorable feature is the dancefloor of multicoloured squares that reflect on a huge mirror, which allows the audience to appreciate all of the dancing. Despite a gritty, adult storyline, some of the drama does tend to play second fiddle to the music and dance and some scenes were a bit stilted. But the music is what you'll leave with and that fabulous timeless soundtrack playing around in your head.